Bamboo is one of the varieties of wood used to manufacture hardwood flooring planks. Like any type of hardwood flooring, when you install bamboo flooring planks, you should stagger the seams to provide the sturdiest and most durable floor. Since you install hardwood flooring planks row by row, beginning at the same side of the room for each row, one basic way to stagger bamboo flooring is to trim the first plank in each row. 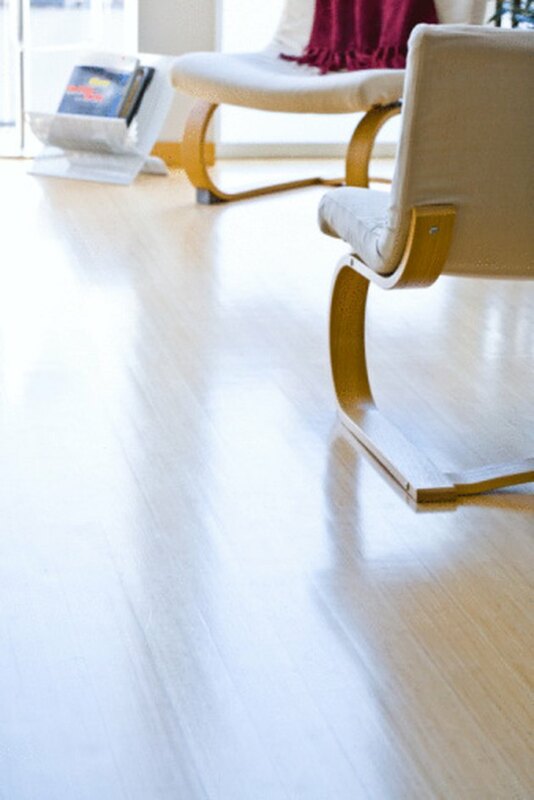 Bamboo is a standard type of hardwood flooring. Lay the first row of bamboo flooring planks using full-sized planks, placing those planks end to end across one wall. Use the spacers included with your bamboo flooring to keep the flooring planks from touching the wall directly, and cut the last flooring plank in the row to fit into the remaining space, using a circular saw. Cut down the first bamboo flooring plank for the next row by 16 inches. Measure 16 inches from one end of the plank on one side and mark the plank, and then measure 16 inches on the other side and mark the plank again. Lay a ruler between the two marks and draw a straight line across the plank. Cut across this line with the circular saw. Install this first plank next to the first plank of the first row, according to the manufacturer's directions for application. Then lay full-sized planks next to this trimmed plank until you get to the other side of the room, and cut the final plank down to size. Cut the first bamboo flooring plank for the third row down by 32 inches if the plank is at least 40 inches long. Make the 32-inch measurements down each side of the plank, make a line between the marks, and then cut the plank. If the planks are not at least 40 inches long, and you will not end up with at least an 8-inch plank once you cut the plank down, do not cut the plank. Lay the first plank of the third row. If you could cut the plank by 32 inches and still have an 8-inch or longer plank leftover, lay the trimmed plank next to the first plank of the second row. If you could not cut the plank by 32 inches and have at least an 8-inch plank left, lay a full-sized plank at the beginning of the third row. Repeat your pattern across the room. If you were able to cut down both the second and third planks, use the three-row pattern, beginning each row with a full-sized plank, then a plank cut down by 16 inches, and then a plank cut down by 32 inches. If you were only able to cut the second plank, use a two-row pattern, alternating between a full-sized plank and a plank cut down by 16 inches.